Vice-Chancellor Stephen Toope today announced that the University Council has agreed to pay more towards staff pensions, to enable the continuation of a scheme that is the subject of ongoing industrial action. In a statement released this evening, Toope said that the University would be prepared to make “higher pension contributions to support a defined benefit pension in the USS”. He added that the University is “now ready to act without delay”, should an agreement be reached between the University and College Union (UCU) and Universities UK (UUK). The announcement came almost simultaneously with the news that members of Cambridge Defend Education (CDE) had entered Old Schools, the University’s administrative centre. 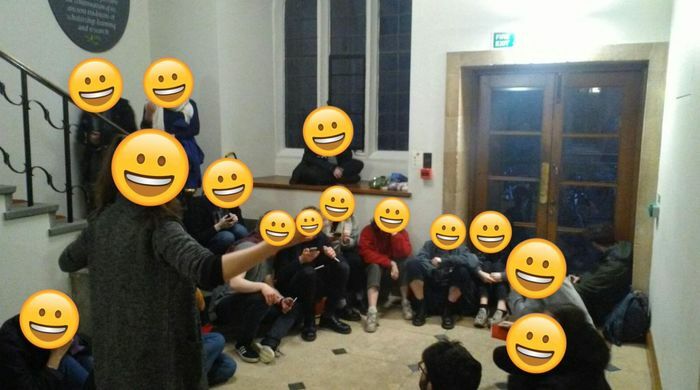 The occupation is currently ongoing; read Varsity’s live blog here. Today’s announcement is the strongest commitment yet made by the University to a continuation of the defined benefit scheme. It follows a statement last week, in which Toope declared that he would ask the University Council “to accept greater risk and cost in the short-term”. Regent House had already passed a Grace, on Wednesday 1st March, which resolved “that the University shall continue to offer a competitive defined defined benefit pension scheme”, and which accepted the level of risk in the September valuation of the Universities Superannuation Scheme (USS). University staff are currently in their fourth week of strike action, prompted by UUK’s proposed plans to replace ‘defined benefit’ pension schemes with ‘defined contribution’ pension schemes for staff on incomes below £55,000. A defined benefit pension scheme offers a guaranteed income upon retirement, whereas the value of a defined contribution pension scheme depends on returns from underlying investments in the stock market. UCU (the University and College Union) claims this would leave a typical lecturer almost £10,000 a year worst off. In the message, which was sent to all staff and members of the University, Toope called the University’s decision the “right short term resolution” to the current pension dispute. The two sides are currently engaged in further talks. Toope also cautioned that the University needs to “start work immediately” to find “a better long term solution” in order to avoid risking “another crisis in three years’ time”. Toope had previously announced that the University were considering a number of different solutions to the pensions dispute, including a Cambridge-specific pension scheme. Calling for “transparency in order to begin to restore trust”, Toope revealed that he is writing to the USS “to call for full public disclosure of the assumptions and methods behind the current valuation”. The University has already “engaged with the group of experts proposed by Imperial College London to examine the valuation”.